We cannot celebrate 26 January when our children still face the devastating impacts of colonisation. Instead, on Survival Day we recognise the strength and resilience of Aboriginal and Torres Strait Islander people, and the survival of Aboriginal and Torres Strait Islander children. If we are to celebrate the many great things about our nation, we need a new date that is inclusive of all Australians and ensures we can all participate in celebrations together. For Aboriginal and Torres Strait Islander people 26 January and the colonisation of Australia is a reflection of the ongoing discrimination and violation of human rights that many Aboriginal and Torres Strait Islander children face today.  Aboriginal and Torres Strait Islander children are more than 10 times more likely to be removed from their families than other Australian children. Our children are only half as likely as other children to access early years education, missing out on learning at the very start of their lives. In recent weeks we’ve seen the suicides of multiple Aboriginal children, which is absolutely heartbreaking, yet we haven’t seen any real response, or real action. SNAICC has been calling for action to address these issues with clear national targets and cross-governmental strategies through the refresh to the Closing the Gap strategy, and the launch of the Fourth Action Plan under the National Framework for Protecting Australia’s Children. SNAICC calls on all Australian governments to work in partnership with Aboriginal and Torres Strait Islander communities through these processes to secure equality for all Australian children.